Visiting Trin Warren Tam-boore and The Great Ocean Road will get you outdoors. Head to Melbourne Central and Lightning Ridge Opal Minesfor some retail therapy. 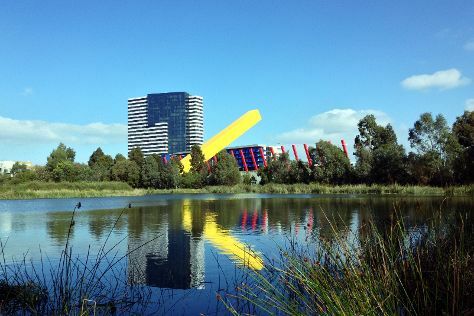 You'll find plenty of places to visit near Melbourne: Devilbend Natural Features Reserve (in Moorooduc) and Moonlit Sanctuary Wildlife Conservation Park (in Pearcedale). Spend the 26th (Fri) wandering through the wild on a nature and wildlife tour. There's still lots to do: immerse yourself in nature at Warrandyte State Park, shop like a local with The White Room Interiors, admire the natural beauty at Melbourne Zoo, and tour the pleasant surroundings at St. Kilda Beach. To see where to stay, ratings, photos, and other tourist information, refer to the Melbourne vacation planning app . Venice, Italy to Melbourne is an approximately 25-hour flight. You can also do a combination of train and flight; or do a combination of flight and train. The time zone difference moving from Central European Time (CET) to Australian Eastern Standard Time (Victoria) (AEST) is 9 hours. In April, daytime highs in Melbourne are 23°C, while nighttime lows are 11°C. Finish your sightseeing early on the 4th (Sat) so you can travel to Sydney. Kick off your visit on the 5th (Sun): identify plant and animal life at Raptor Domain, then look for all kinds of wild species at Seal Bay Conservation Park, and then explore and take pictures at Island Pure Sheep Dairy. On the 6th (Mon), you'll have a packed day of sightseeing: enjoy the sea views from Cape Willoughby Lighthouse Keepers Heritage Accommodation and then tour the pleasant surroundings at Stokes Beach. For where to stay, ratings, and more tourist information, use the Kangaroo Island travel route planning website . Getting from Melbourne to Kangaroo Island by combination of flight and taxi takes about 3.5 hours. Other options: do a combination of car and ferry; or do a combination of ferry, car, bus, and taxi. Wrap up your sightseeing on the 6th (Mon) early enough to travel to Sydney. Do some cultural sightseeing at Sydney Opera House and Australian National Maritime Museum. 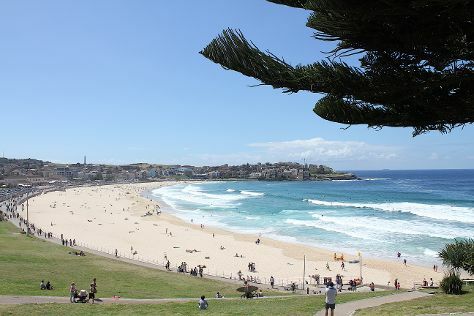 Visit Bondi Beach and Coogee Beach for some beach relaxation. Explore Sydney's surroundings by going to Norman Lindsay Gallery & Museum (in Faulconbridge), Wentworth Falls (in Katoomba) and Pulpit Rock Lookout (in Blue Mountains National Park). Spend the 11th (Sat) wandering through the wild on a nature and wildlife tour. Spend the 16th (Thu) exploring nature at Kamay Botany Bay National Park. The adventure continues: hunt for treasures at Sydney Fish Market, take a stroll through Darling Harbour, admire the natural beauty at The Royal Botanic Garden, and don't miss a visit to Queen Victoria Building (QVB). To see photos, other places to visit, where to stay, and more tourist information, use the Sydney travel route planner. You can do a combination of taxi and flight from Kangaroo Island to Sydney in 5.5 hours. Alternatively, you can do a combination of car and ferry; or do a combination of taxi, ferry, bus, and train. In May, daily temperatures in Sydney can reach 24°C, while at night they dip to 14°C. Finish up your sightseeing early on the 23rd (Thu) so you can travel to Fraser Island. On the 24th (Fri), tour the pleasant surroundings at Seventy-Five Mile Beach and then contemplate the waterfront views at Lake McKenzie. Get ready for a full day of sightseeing on the 25th (Sat): contemplate the waterfront views at Eli Creek and then get outside with The Pinnacles. For traveler tips, reviews, photos, and more tourist information, you can read our Fraser Island trip itinerary builder tool . You can do a combination of flight, ferry, and car from Sydney to Fraser Island in 8.5 hours. Other options are to do a combination of car and ferry; or do a combination of train, car, and ferry. Wrap up your sightseeing by early afternoon on the 26th (Sun) to allow time for travel to Cairns. Kick off your visit on the 27th (Mon): see some colorful creatures with a scuba or snorkeling tour. Get ready for a full day of sightseeing on the next day: experience rural life at Hartley's Crocodile Adventures and then stroll through Palm Cove Beach. Do a combination of car, ferry, and flight from Fraser Island to Cairns in 10.5 hours. Alternatively, you can do a combination of car, ferry, and train; or do a combination of car, ferry, and bus. In May, daytime highs in Cairns are 32°C, while nighttime lows are 24°C. Wrap up your sightseeing by early afternoon on the 29th (Wed) to allow enough time to travel back home. 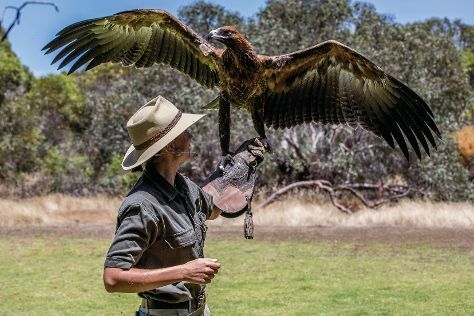 Kick off your visit on the 30th (Thu): look for all kinds of wild species at Caversham Wildlife Park, kick back and relax at Cottesloe Beach, and then take some stellar pictures from Elizabeth Quay. Here are some ideas for day two: contemplate the long history of The Perth Mint, appreciate the history behind Kings Park War Memorial, then contemplate the long history of Fremantle Prison, and finally browse the eclectic array of goods at Fremantle Markets. For where to stay, more things to do, other places to visit, and other tourist information, read Perth tour itinerary planner . Traveling by flight from Cairns to Perth takes 7.5 hours. Alternatively, you can drive; or take a train. Traveling from Cairns to Perth, you'll gain 2 hours due to the time zone difference. Traveling from Cairns in May, you will find days in Perth are slightly colder (25°C), and nights are cooler (11°C). Wrap up your sightseeing by early afternoon on the 1st (Sat) to allow time for travel back home.